Acting Senior Superintendent Jeffrey George respond to concerns by citizens at a police meeting at the Signal Hill community centre recently. FOUR police officers are being questioned for a shooting incident which occurred last Saturday night at an upstairs bar and lounge in Crown Point. On Wednesday, Acting Senior Superintendent Jeffrey George said the officers allegedly involved are attached to the Crown Point police station. He said the officers will be placed on an ID parade soon. In a short video circulating online last Sunday, a group of partygoers are seen in the dimly lit bar and lounge with a heated argument among a small group of men standing at the centre of the lounge. During the fracas, one individual holding what looked like a firearm was seen pointing it to the galvanised ceiling before firing three shots. The gunshots were heard over the music but surprisingly didn’t cause a panic as the argument continued unabated with no one even flinching. Newsday was told no one was injured during the brawl. On social media, people viewing the video expressed surprise that patrons remained so calm even as a gun was allegedly drawn and fired. ASP George on Wednesday said the incident will be investigated thoroughly to determine if any officer was in the wrong. 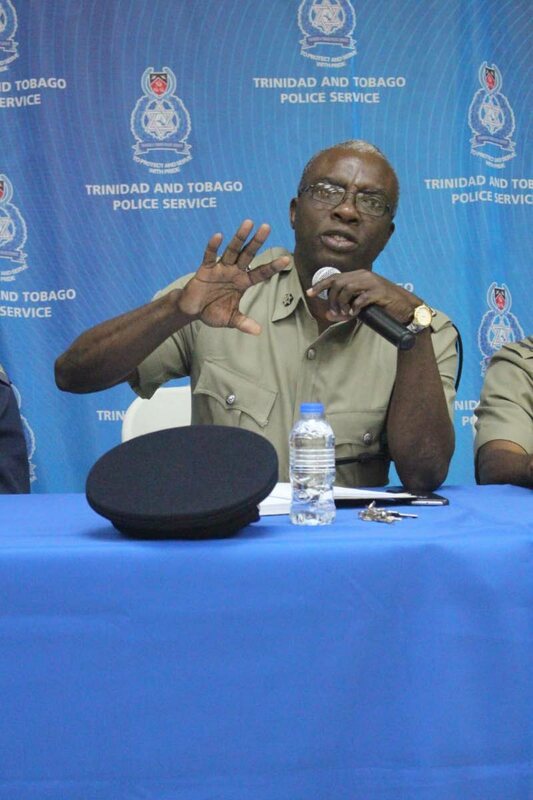 The shooting incident occurred three days after ASP George announced one month of ethics training for all Tobago police officers at Tobago’s 15th police town meeting at the Mason Hall Community Centre. This announcement was made after residents of the Mason Hall community blamed poor customer service and corruption from police officers for an increase of criminal activities in their area. ASP George said he is awaiting approval from Police Commissioner Gary Griffith for the training programme to begin. Reply to "Cop probed for firing gun at nightclub"